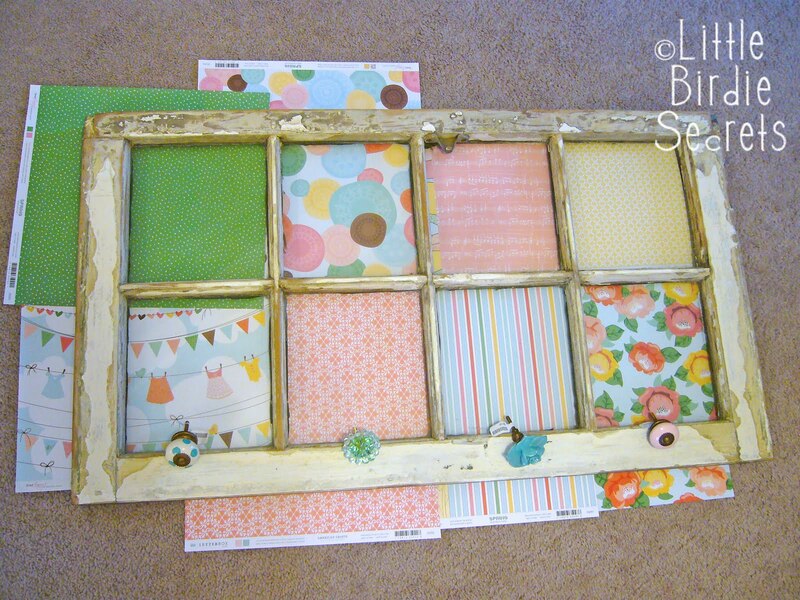 altered window frame tutorial and scotch tape giveaway! 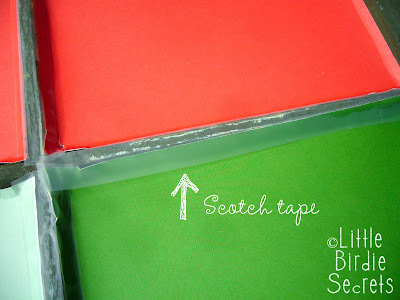 Thanks to Scotch(R) Double Sided Tape for sponsoring my writing about crafts. Add your comment below to be entered for a chance to win free sample rolls to help with your upcoming holiday needs! And yes, this project does use Scotch tape. It's one of my favorite projects. In fact, I don't have little girls, but i loved this Dear Lizzy paper by Elizabeth Kartchner so much that I decided to use it anyway (have you seen her new Enchanted and Christmas lines, too? Adorable!). 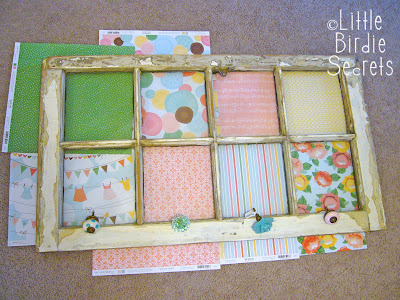 So if you do have a little girl and want this for her room, contact me--it's for sale! 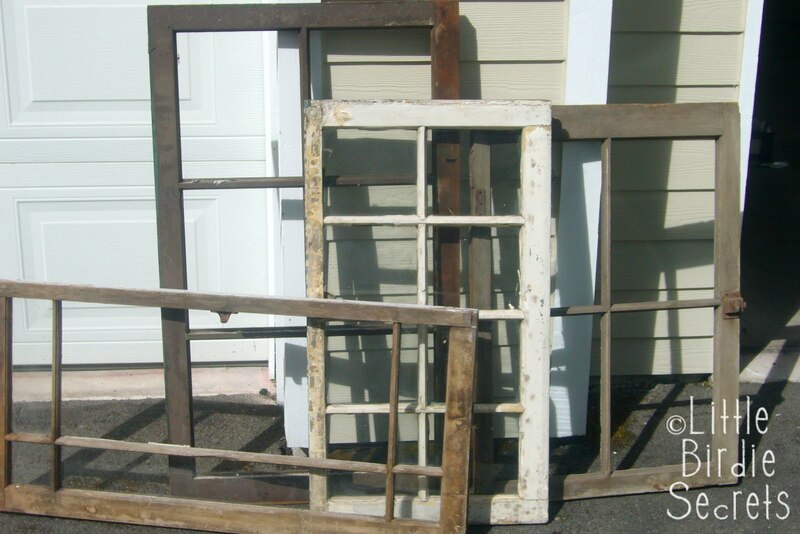 First, find an old, wooden window frame. You can find these at flea markets, antique stores, and even garage sales. 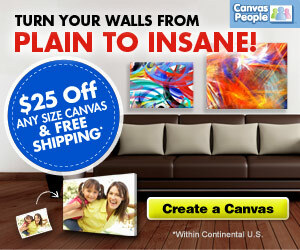 Prices can range from a few dollars to $35+. 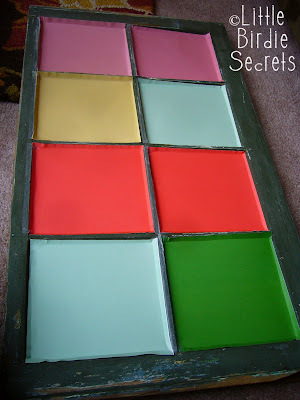 For this project you'll want it to have glass panes. 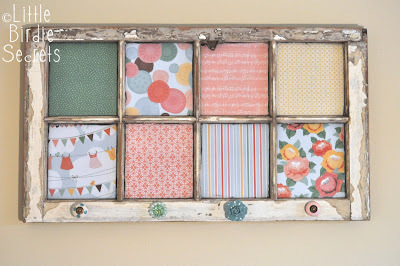 We'll show you a few other uses for window frames in the future, so if you find a great frame that you love, by all means, buy it! You'll regret it later if you don't (believe me). Next, chip loose paint off. Old paint often contains lead, which can be dangerous for children if ingested, so you want to get as much off as possible. 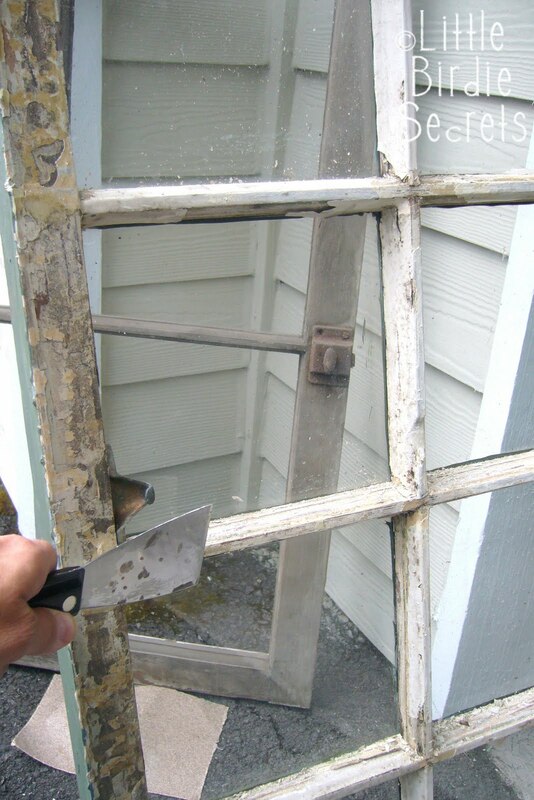 Then use an electric sander (or a piece of sandpaper and some elbow grease) to sand it smooth. 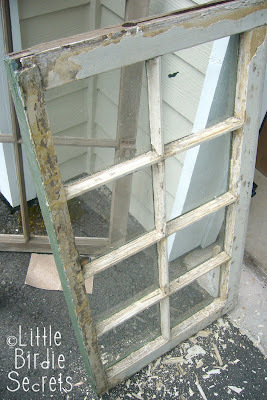 If you don't like the shabby chic look, you could tape off the windows at this point and paint the frame. I left this one as is. 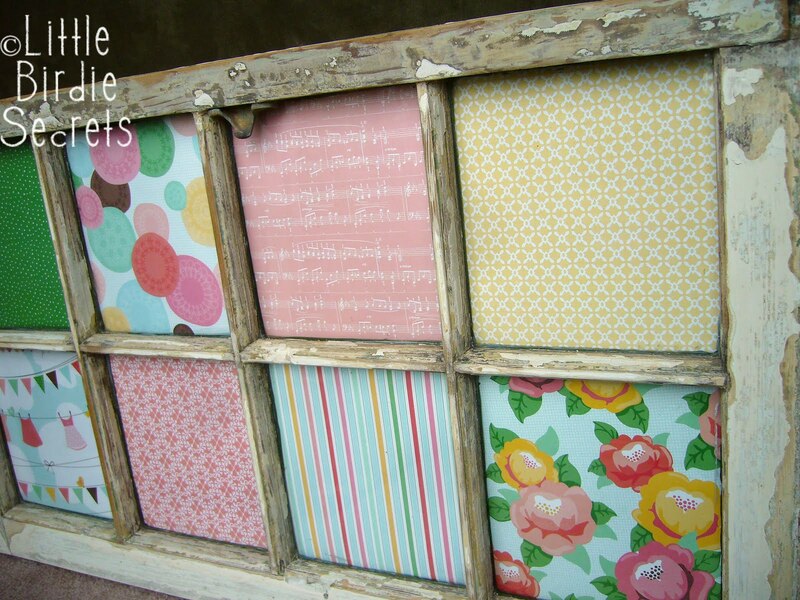 Arrange your papers under the windows until you have an arrangement you like. Cut your papers to the size of the wood frame for each window pane (this will make them slightly larger than your glass). This is a good thing. Take a bone folder and crease each edge so the paper is flush with the glass. This will create a little lip of paper around the edge of the pane. Now tape each lip to the wood frame with some good ole' Scotch tape. You could glue it, but I liked this option because I can easily remove the paper if I ever want to update it down the road. 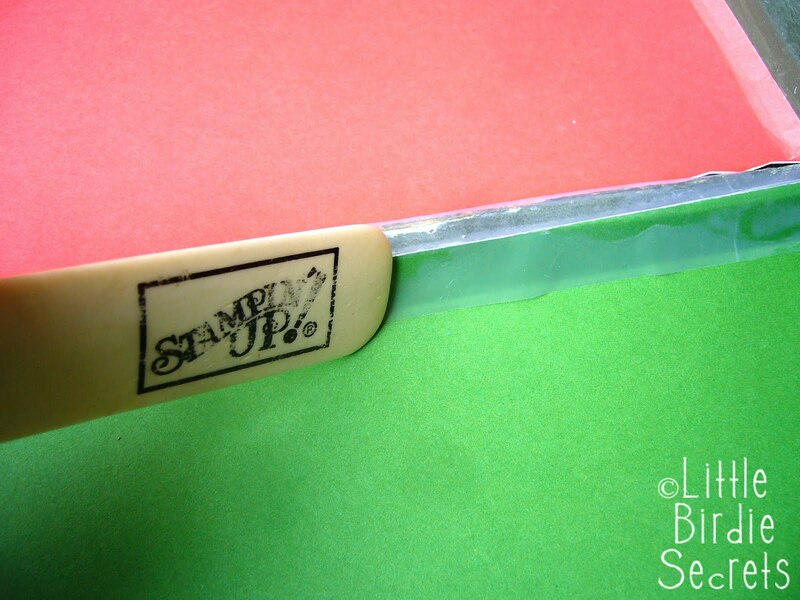 Use your bone folder to smooth out the tape and make sure all your papers are secure. 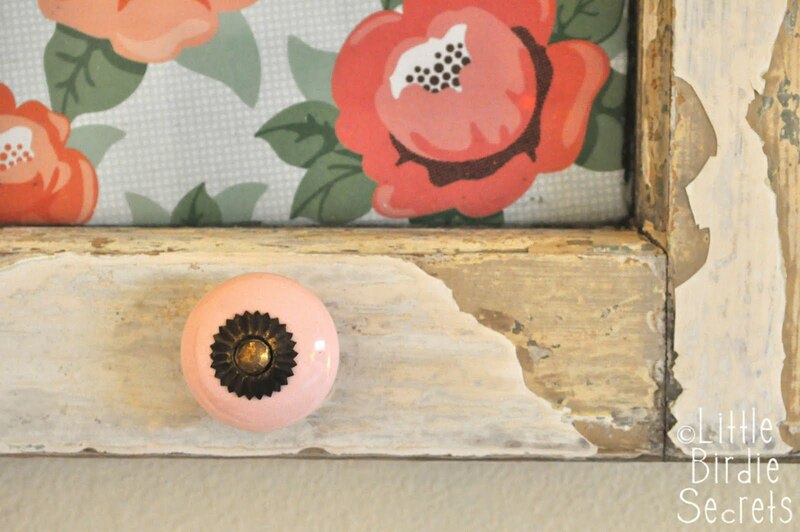 If you want to have knobs for hanging, position your drawer pulls evenly across the bottom side of the frame. 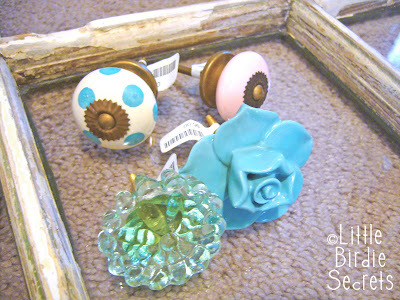 I found my pretty, vintage knobs at Anthropologie. They were pricey, but so worth it. They really make it. To attach knobs, mark the spot and drill a hole the same size as your knob. 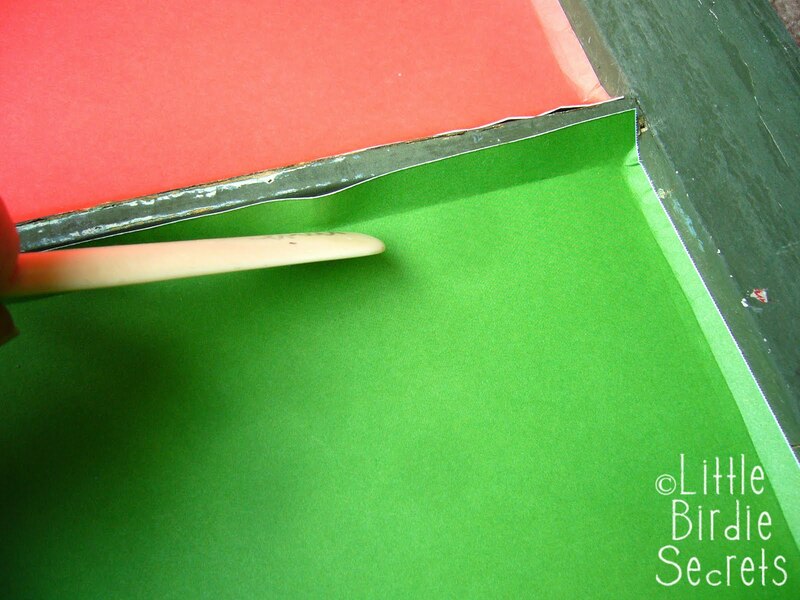 Squeeze a little glue inside the hole and stick the screw end of your drawer pull inside. Allow to dry before using your new hook. 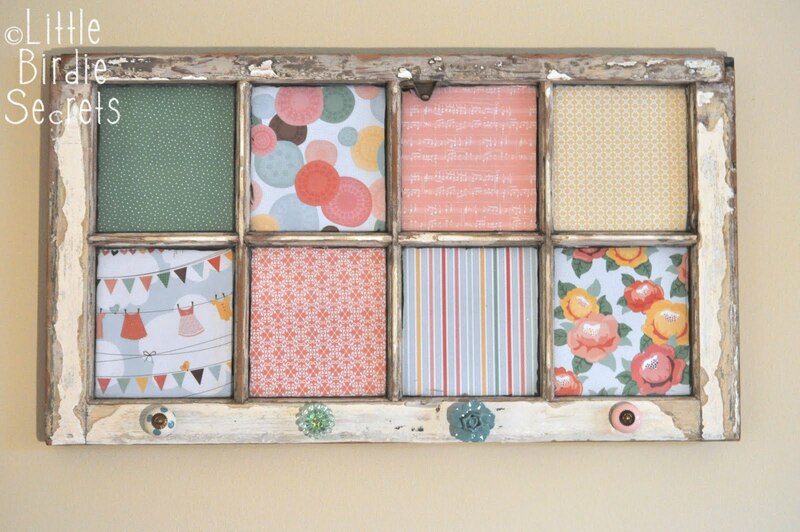 Lastly, I added a couple of window hanging attachments to the back so I could hang it on the wall. 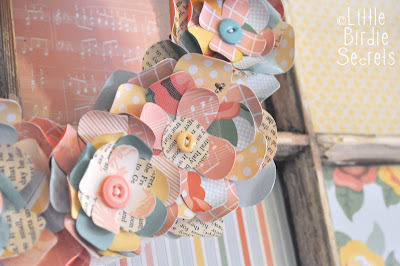 I thought it needed one more little touch, so I added a simple paper flower wreath hanging from the front. 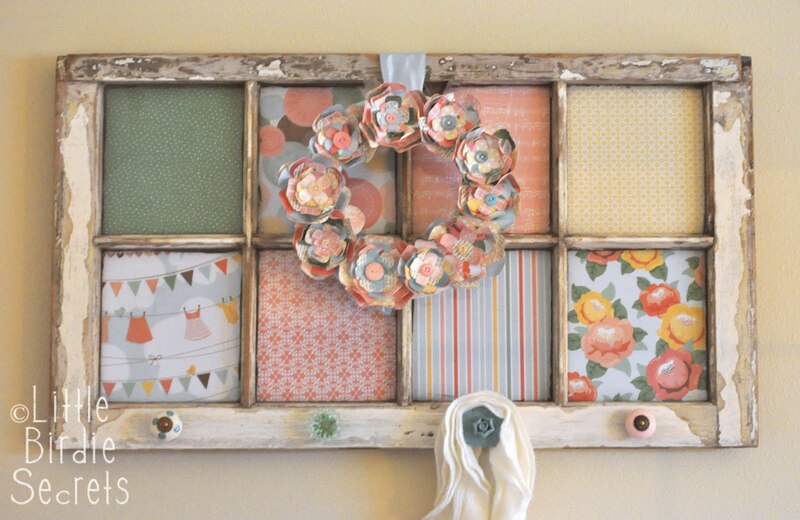 (See the amazing inspiration wreath here.) I simplified it a lot, but basically, I cut four-petaled flowers in several sizes with my Slice machine from coordinating/matching papers. 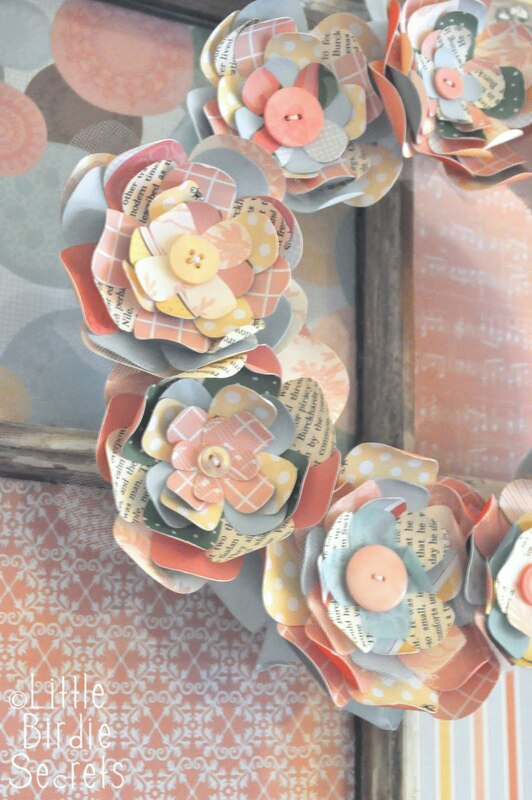 Then I curled the petals with a pencil and stacked them up. I sewed a button in the middle to secure all the layers. Then I hot glued them to a wreath form. Easy, but time consuming. And worth it. I love the way it turned out! Okay, thanks for reading all the way to the end of that long tutorial, even if it was just to find out about the Scotch tape giveaway! We will choose 10 random winners to receive 10 rolls of Scotch double-sided tape courtesy of 3M, just in time for holiday crafting! 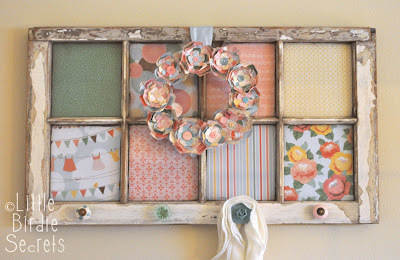 Just leave us a comment on this post--it can be about anything: what you'd use the tape for, how much you love my window, or what you're cooking for Christmas dinner. Just leave us some comment love by Friday, December 3 at 11:59pm PT and we'll pick 10 lucky winners! Good luck! Please learn more about Scotch(R) Double Sided Tape and other Scotch(R) Products, and join the conversation on the Scotch(R) Brand Facebook Pageand via Twitter. I was selected for this sponsorship by the Clever Girls Collective, which endorses Blog With Integrity, as I do. Congrats! I have passed your email address onto the sponsor and they should be contacting you soon! Enjoy your fabulous cards. Want to hear about a really great holiday gift idea? Everyday Lettering is wonderful. 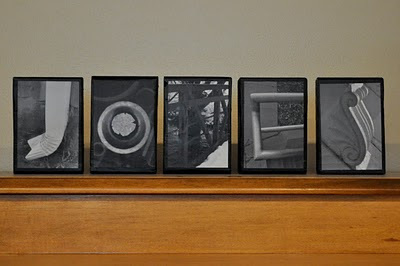 Using beautiful pictures from Joy Photography by Heather, words are created from everyday items and you can make a word or saying from them. How awesome! 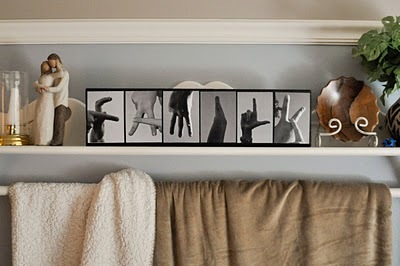 I just love this idea. Heather says, "After seeing similar products in stores priced at over $150 for a small word/name I searched for a way to make it more affordable. I spent over a year collecting pictures of everyday objects and editing them to make them beautiful." 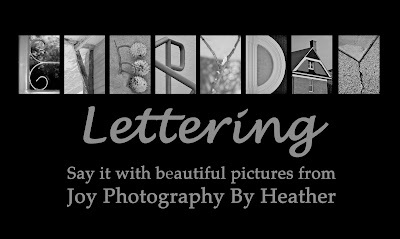 Today, Everyday Lettering is offering one of our readers the chance to win one name/word valued at up to $30 + shipping for free! 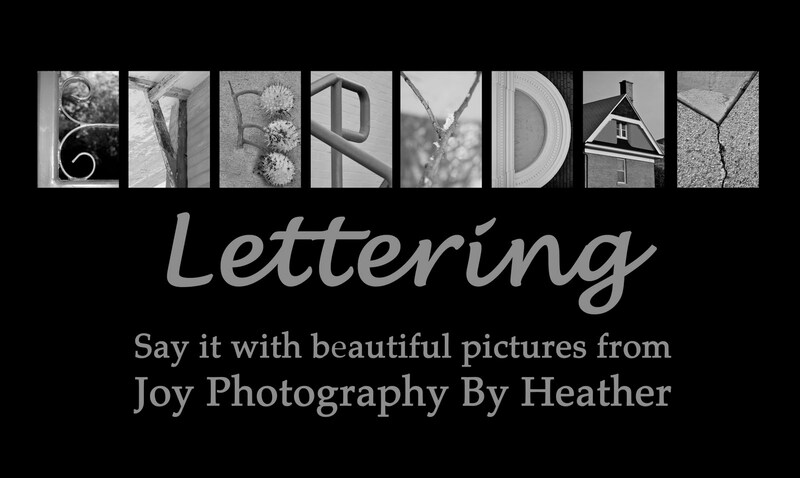 All you have to do is visit Everyday Lettering and look around. Then come back and tell us what word you would pick to order. You can see all of the letter here. Good Luck! This giveaway will end on Sunday, December 5th at 11:59pm PT. We've got some fun handmade Christmas gift ideas coming up soon, but if you're already feeling overwhelmed by the holidays, you have our permission not to make every gift this year. Why do that to yourself? 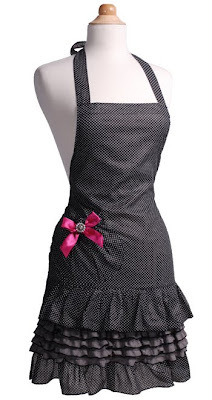 We have a great Black Friday/Cyber Monday deal for our readers: 30% off your purchase from Flirty Aprons, now through November 30, 2010. 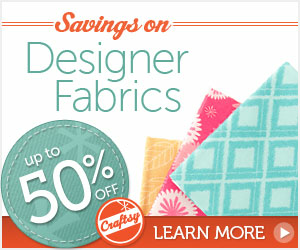 Use Coupon Code CYBER30. 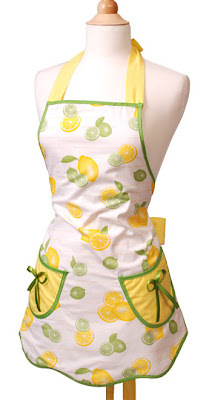 I love their aprons--they look like something I would make if I had the time! 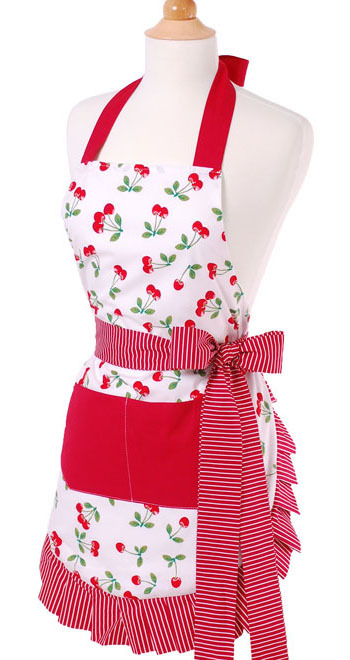 Here's are the aprons on my wish list (I can't decide!). . .
We recently had the opportunity to attend one of King Arthur Flour's traveling baking demos. It was fabulous! 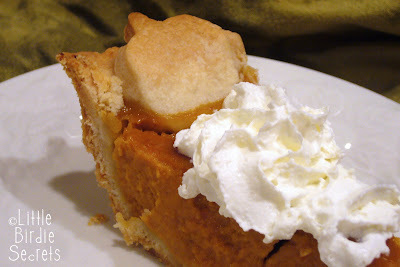 They showed us how to make the perfect pie crust and offered many wonderful baking ideas and tips. Besides being a fun girls day out with friends, we really learned a lot. One of my favorite ideas was using little cookie cutters to cut shapes out of pie crust to add a little decoration to your pies. 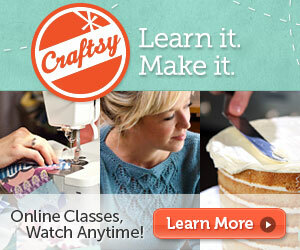 You can line the edge of your crust with cut-outs or do the whole top crust as a blanket of cut-outs. What a festive touch! 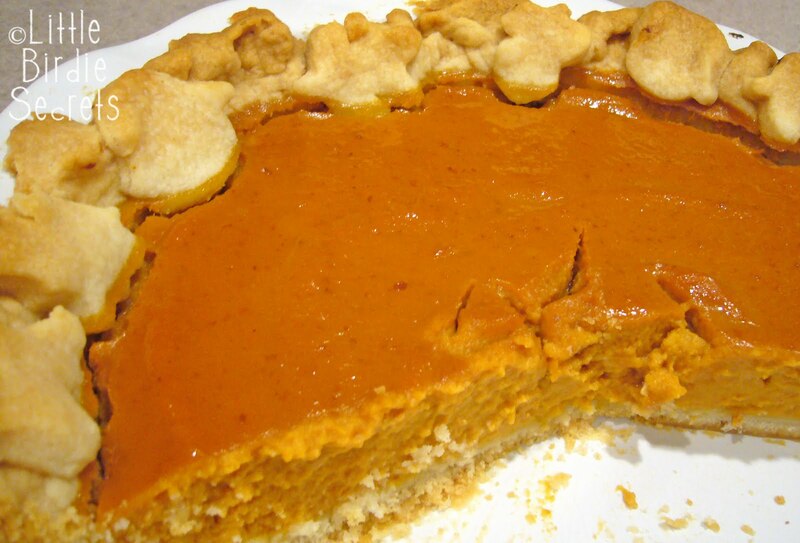 Here is the wonderful recipe for pie crust from King Arthur Flour. 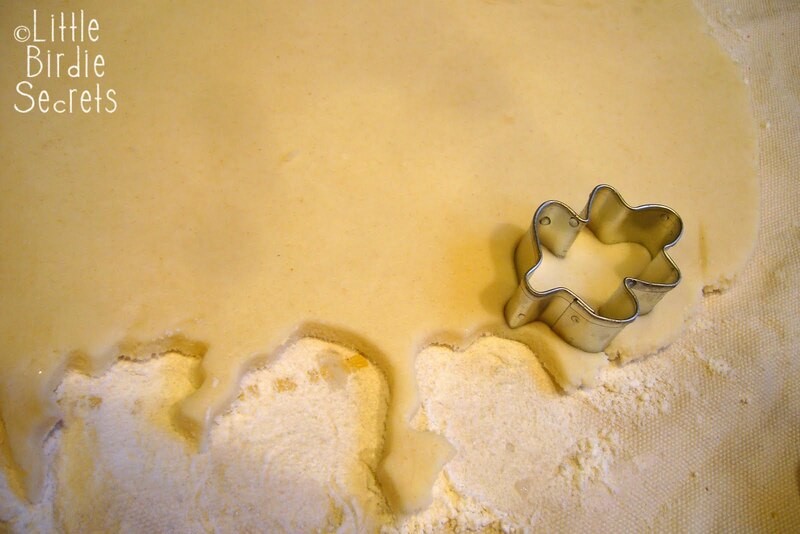 Mix dry ingredients together with whisk. Cut in half of the butter, combining thoroughly. Cut or pinch the remaining butter into small bits. Toss these bits of butter into the mixture you already combined, mixing just enough to coat with flour. 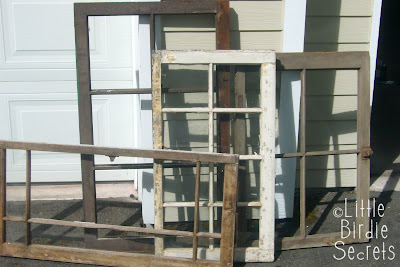 You want these pieces in larger bits. 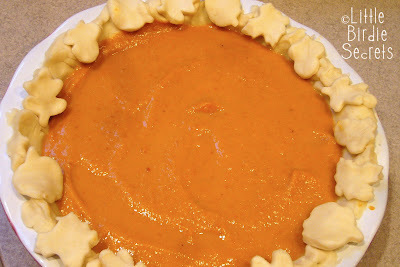 Add the water a tablespoon at a time and toss with a fork to moisten the dough evenly. To test for the right amount of liquid, use your hands to squeeze a chunk of it together. If it sticks together easily, it is moist enough. If it falls apart, add a bit more water. Divide the dough in half and wrap both halves in plastic wrap. Refrigerate for at least 30 minutes. Roll out dough onto lightly floured surface and use a spatula to help you transfer the crust to pie plate. Follow further directions for baking based on what recipe of pie you are making. *TIP-One great tip we learned at the demo was to use a spray bottle on the dough. If you just need to add a little bit of water as you roll it out or form dough, you can lightly spray all over without getting it too moist in only one section. 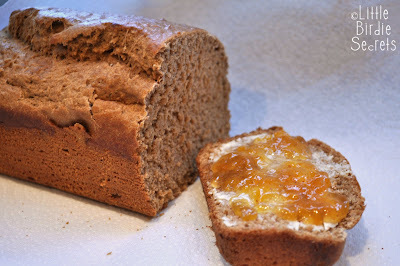 We tried out another delicious from the demo and it was delicious! Grease an 8 1/2 inch by 4 1/2 inch loaf pan. Combine all ingredients into a large bowl. Beat vigorously for about 3 minutes. An electric mixer on medium-high speed works well here. Scoop the batter into the prepared pan. Cover the pan with lightly greased plastic wrap and let the dough rise for 1 hr. It won't fill the pan. It also won't dome as it rises, but will remain flat across the top. While the batter is rising, preheat oven to 350 degrees. Uncover and bake for about 45 minutes, tenting it with foil after about 20 minutes. The bread is done when it is golden brown on top and an instant read thermometer inserted in center registers 190 degrees F. Remove from oven. After 5 minutes use a knife to loosen edges then turn out onto a rack. Brush with melted butter if desired. This will keep the crust soft. Cool for 30 minutes before slicing. We hope these recipes can be a great addition to your holiday meal! Happy Thanksgiving! forget black friday - this year it's small business saturday! 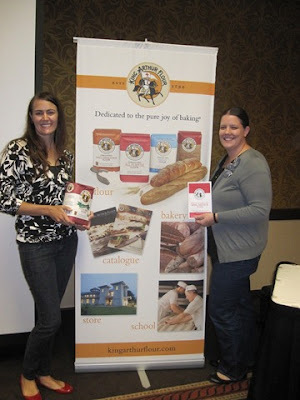 Thanks to American Express for sponsoring my post today about small businesses. American Express is presenting Small Business Saturday, a way to honor the local merchants who are the backbone of the economy, this Saturday, November 27. They're offering statement credits to people who shop at small businesses, advertising for small-business owners, and donations to Girls Inc. for "Likes" of the Small Business Saturday page on Facebook. Join the celebration by clicking the "Like" button and then visiting the Facebook page to learn more about the program and read the terms and conditions that apply. I learned a lot about how small businesses affect communities when my local scrapbook store, of which I was an employee, closed this summer. I was so surprised to see how some customers made the store their home, how they connected with the employees, and how devastated they were to see it go. Small businesses truly are the lifeblood of our communities! That's why I'm so thrilled that this Saturday American Express is honoring the small businesses that bring so much to local economies. And that's why I want to tell you about one of my favorite local businesses. I stumbled upon it while antique shopping in the quaint town of Snohomish with my in-laws several years ago. I felt like I had discovered a precious stone--that's how amazing this store is. The shop is called Joyworks, and it is a little bit vintage, a little bit handmade, and all style. 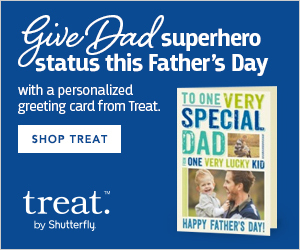 Home decor, gifts, and clothing and accessories that really make you feel special. Because they're different, they're chic, and you can't get them just anywhere. And a lot of that is because the owner, Jana, has such great taste! She and her staff really know how to pull different items together to not only give you great decorating ideas, but to make you need them. It's a little bit mean, really. I want it all! Did I mention I need this jacket? If you're in the Seattle-Everett area, you really need to check out Joyworks. I guarantee you'll find great Christmas gifts, neighbor gifts, and holiday party-wear. 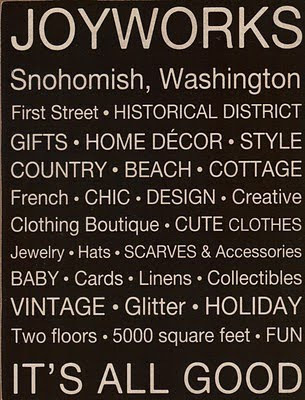 If you're not as lucky as us to be so near this amazing shop, please spend some time patronizing your local small businesses this holiday season, and especially on Saturday, November 27. Because they're working hard to get our economies back on track. And be sure to "Like" Small Business Saturday on Facebook to help support local stores across the country! You could win a statement credit on your AMEX! 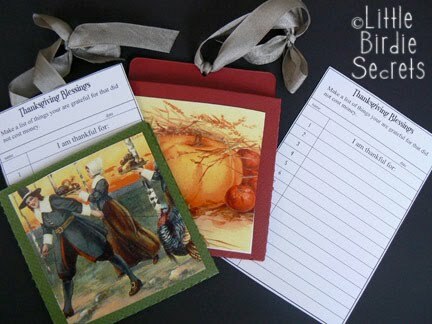 thanksgiving place cards, napkin rings, favors, and more! 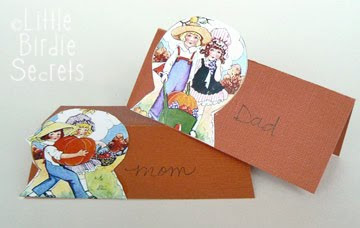 Jennifer is back with more vintage Thanksgiving clip art projects! She's created an entire Thanksgiving paper feast for us. And you're going to die when you see the amazing printable "blessing cards" she put together for you! Last week I made a banner for Thanksgiving using vintage collage art. All week I have been thinking about those adorable vintage images and trying to figure out how to use them again. I just goes against my thrifty nature to waste all that lovely clip art. 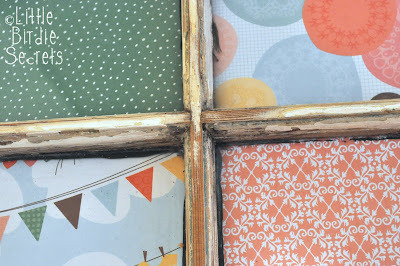 I came up with four ways to use the collage art and leftovers from last week’s project. This would be a great project for kids of all ages. They can even work on them while you are cooking dinner. 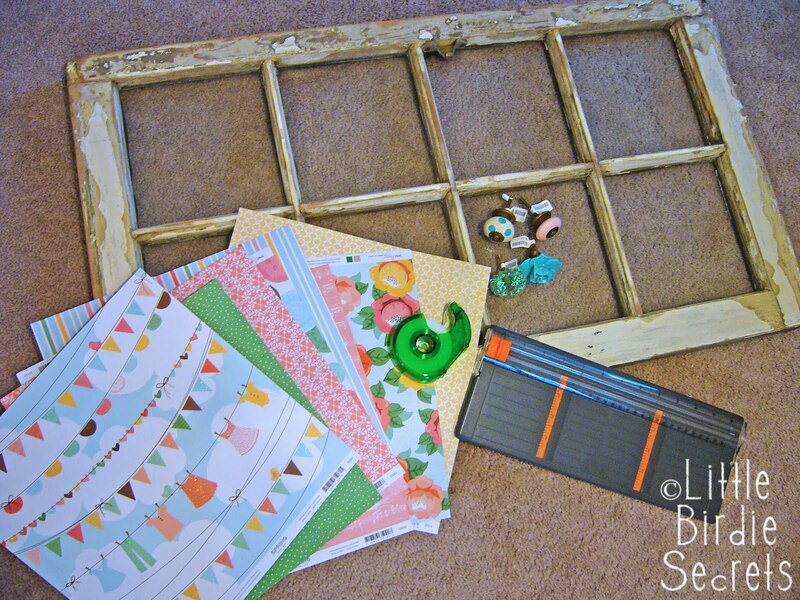 These projects are simple and quick to put together. 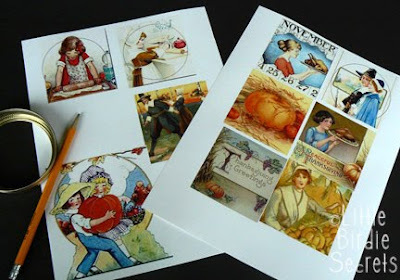 Check out this post to see where to get vintage clip art. You are going to need to print multiple images in several sizes. 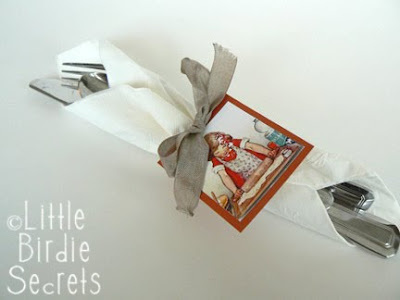 A napkin ring is so cute and so simple to put together. Resize desired images to 1.5” wide. Print and mount on cardstock. 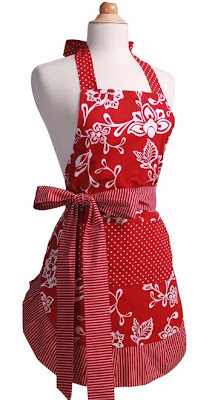 Punch two holes in the top and tie with ribbon. 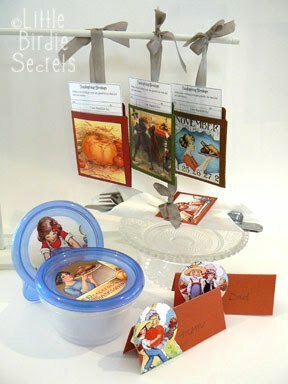 Place card holders are a must at the Thanksgiving table. How else would we know where we are supposed to sit? Give one of your children the job of assigning the seating. It’s a really important job making sure that everyone gets to sit next to their favorite Grandma. Resize image to about 2” wide. Using leftover cardstock from last weeks project, or scraps from another project, cut a rectangle about 4.5” wide by 3.75" tall. Fold in half. Glue image to the left side of the place card. Write guests names on the place card. Having your child use their handwriting would be adorable. It’s always fun to send leftovers home with your guests. It’s even more fun for them if their leftover container is cute. These tags for leftovers are not washable, so remind your guests to remove them before they wash their container. Resize images. Check out your container lids to see what size they need to be. Find a bowl or lid about the right size as your container and use it as a template. Cut out. 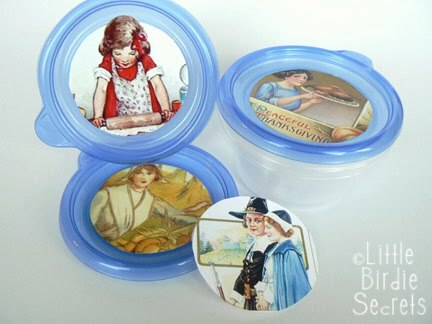 Tape the image to the lid of your leftover container. This was my favorite project of all. Click on the image of the library cards below and print your own (see instructions below image for best results). Cut out a library pocket holder using leftover scraps of colored cardstock, fold and glue. If you aren’t lucky enough to have a die cut center in your basement, (I just happened to keep my favorite dies when I closed my scrapbook store) use this template to cut out your library card pocket. Resize your image to about 3”. Cut out and mount to the front of the library pocket. 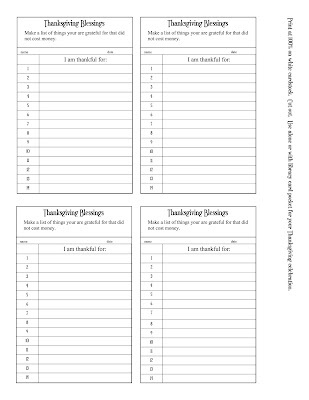 Print enough blessing cards for everyone at your thanksgiving table. Have your guests fill them out while they are waiting for dinner. If you take a photo of your guests during dinner you can mount your photo and this library pocket holder right into your scrapbook. It’s good to look back on the things that we are grateful for. Instructions for printing "Blessings" library cards: Click on image. In your browser, go to the Page Setup command (should be under the File menu). 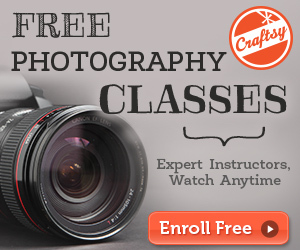 Be sure your image has the "shrink to fit" option checked and then change your margins to .25" on all sides. Then go to the Headers and Footers section and select "empty" or "blank" for all options. This prevents the printer from printing the Web page information on your card stock. These steps are critical if you want it to print in the right dimensions. You may also try saving the JPEG and print from your computer if you are unable to change your browser's print options. Send us an e-mail if you can't get it to work! Congrats. I have passed your email onto the sponsor so she will be contacting you. I was never a huge yam fan at Thanksgiving, that is until the year my mom made this recipe. We call them Thanksgiving "Yums". They're too yummy to be called yams. They're like a dessert, really, although forget the marshmallows. Whenever I offer to bring my yams to a Thanksgiving dinner for the first time, I always get, "Sure, you can bring them if you're family likes them." Then they try them. And then they know why I call them my "famous" Thanksgiving Yums. Mix and drop spoonfuls on top of yams. Bake at 350° for 45 minutes. These are simply divine. Note: I often put these together the night before but don't bake them. Then I can just stick them in the oven on the big day so I have more time to fret over my turkey. 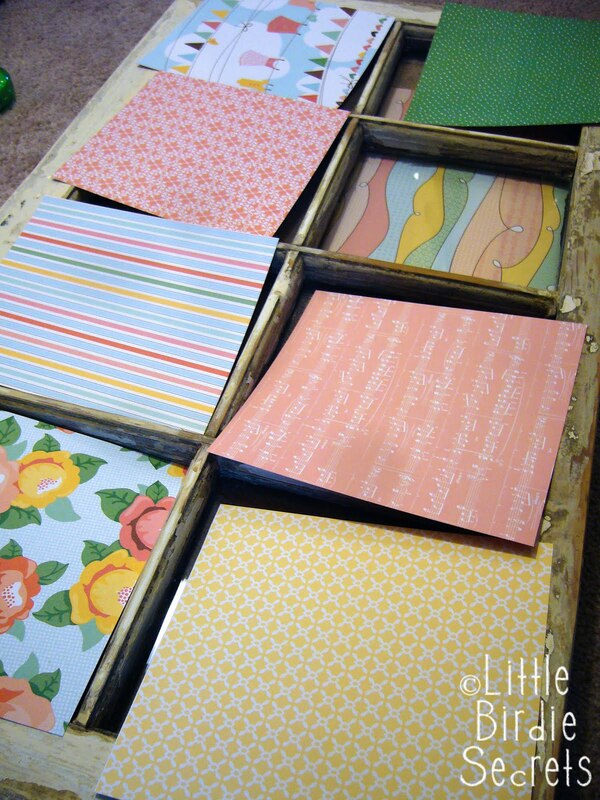 "Storkie has been providing high quality, affordable custom-printed stationery for over 20 years. 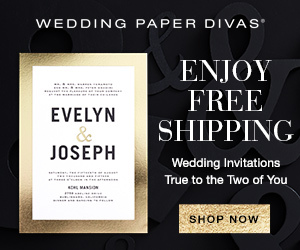 From baby to holiday, wedding to party, we are proud to offer a wonderful selection of stylish and unique invitations, announcements, and cards. 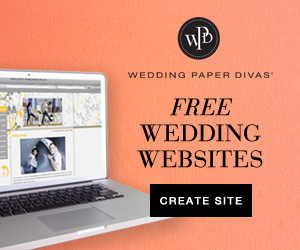 Our super advanced website allows for full personalization - our easy to use tools make it quick and fun to customize and order. Every order is checked by our professional typesetters to ensure perfection, and digital proofs are available at no extra cost. 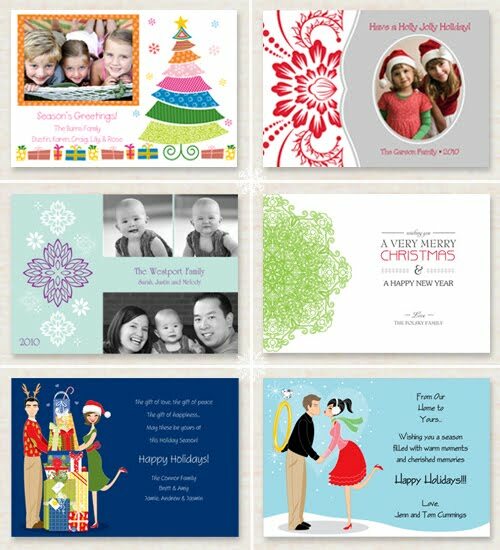 Storkie features an incredibly fast turnaround time, with most orders shipping within 1-2 days: you can place your holiday cards order Monday morning and receive them as soon as Wednesday with overnight shipping! 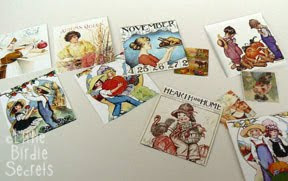 You could wait until December 20th, and still get your holiday cards in the mail to friends and family before Christmas! Another awesome option Storkie offers is "Stuff, Stamp, and Mail" - where we'll calligraphy your recipients' addresses, stamp the envelopes, and mail your cards for you! Talk about convenience!!!" and even the holiday party invitations! You can also find Storkie on Facebook and at Twitter @Storkie. Today, Storkie is giving one of our readers the chance to win a $100 gift card for personalized holiday cards and/or holiday party invitations!! 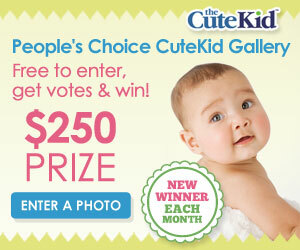 All you have to do to enter is visit the Storkie website and find your favorite card or invitation. Then come back and tell us what it is. For a second entry you can like us on Facebook. This giveaway will end Sunday, November 28th at 11:59pm PT.